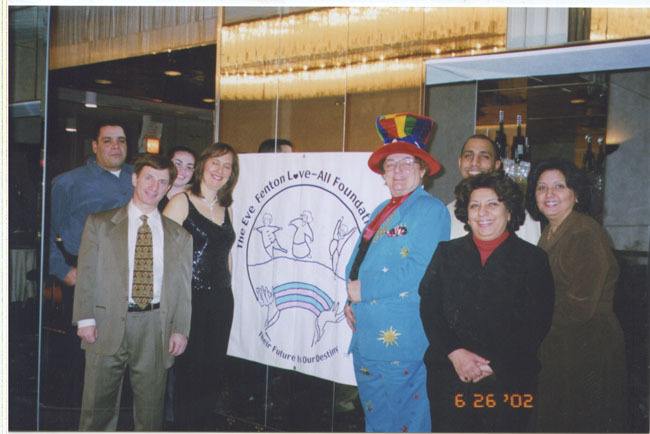 New Horizon Gala Event By Vicki Fenton - The Eve Fenton Love-All Foundation, Inc.
On February 20, 2007, the celestial galaxy gave the Eve Fenton Love-All Foundation a Divine Gift by presenting a successful event at Temple Sholom in Mill Basin, Brooklyn. This great event was catered by the one and only Ira Polansky of Eden Caterers, exclusive caterer for Temple Sholom. The joyful tone was set forth by the service of delectable culinary delights which will be remembered as the mouth watering memorable event for many years to come. 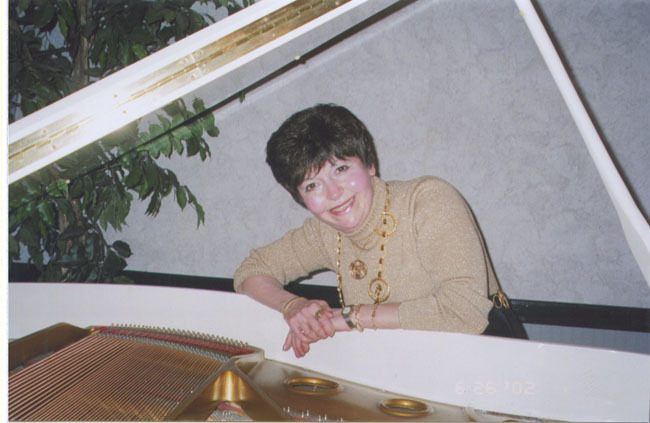 The event commenced with the vivacious and talented Ellyn Weiss, singing and playing piano providing to her captive audience a selection of favored Broadway show tunes. Thereafter, the program followed with a presentation of the Merit of Achievement Awards to our Honorees. 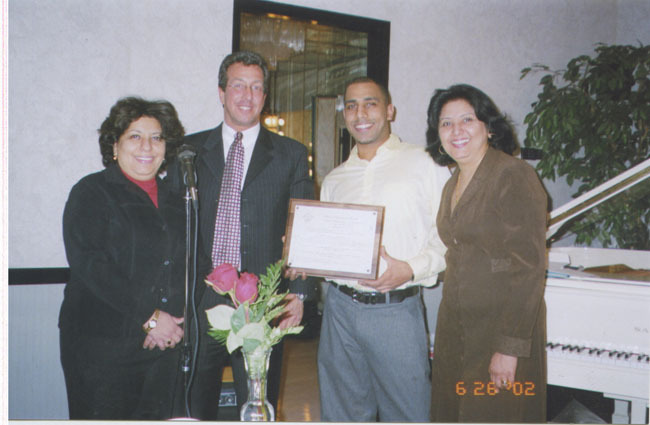 Our honoree humanitarian and civic leaders are listed as follows: the great Brooklyn Borough President Marty Markowitz, the angel with documents, Ira Polansky, the renowned Khalfan family of Signs and Decal and Ariey Nusbaum, who is always visible for the children. A roving magician, Happy Henry, drove the guests into laughter and uplifted all the spirits of those in the audience and those spirits that were not even seen. Next on our celestial agenda was the dynamic and high spirited guitar vocalist, Joel Landy, who enthralled the audience with his spectacular entertainment. Our expression of gratitude should be extended to some of our prominent staff members who went above and beyond the call of duty riding on the magic carpet of love for the children. Some of our Dream Team Staff participated in this event, i.e. Helen Day, secretary on our Board of Directors, the valuable Elizabeth Cosme, affectionately known as Lisa, Luis Caravella, publicist and photographer for the crucial hour, Reina Wolinsky - the first time around - provided us with her charm and Leslie Marshall from MNO Advertising - made many valuable suggestions. By God's grace with our Dream Team Staff destiny will place us on the fast track to our ultimate goal. 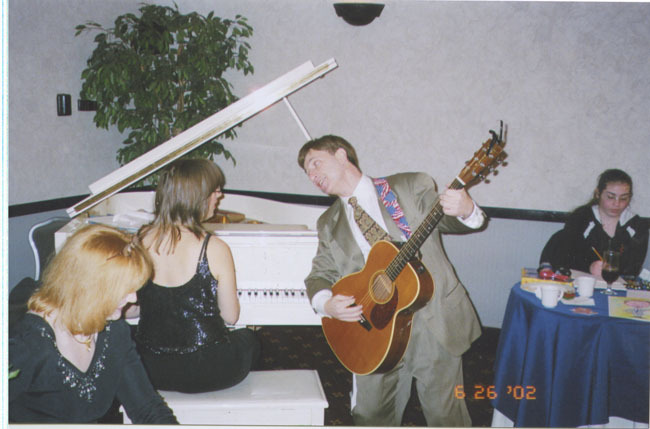 At this point in time, a CD by Vicki Fenton from our Inaugural Event was played in honor of Mama Eve Fenton. The song can best be defined as stating, "to me you are the greatest in the world, in any language." The audience sang along and clapped their hands to show their appreciation. Vicki stated a few brief words regarding the Foundation. She asserted that the Foundation was a family charitable tradition commencing with her grandmother over fifty years ago before she was born. The Foundation's humanitarian mission is to bring disabled and indigent children to a lifetime of success. This mission is to also include minority and abused children and children and young adults battling cancer and other diseases. Vicki concluded by stating that there have been many challenges in the past and an arduous task ahead. However, "determination is the gateway to success TM and our Inspirational Vision will come to fruition." Ira Polansky presented Vicki with a Proclamation for the Foundation from Brooklyn's favorite son, Brooklyn Borough President Marty Markowitz. This great Merit of Achievement ultimately brought Vicki to tears of happiness and gratitude. The stage was set for a delightful recording by our favorite renowned vocalist, John Luke, who was unable to attend because of the flu. Thereafter, our valued sponsors' donations were placed on a decorative table with an overwhelming response of purchases. In essence, the theme of accomplishment was placed on a charitable pedestal for this memorable occasion. The vista of this humanitarian path was wide open to let us all walk the road for the children. Mama Eve asserted, "Reach for a star and you will be blessed with a galaxy." 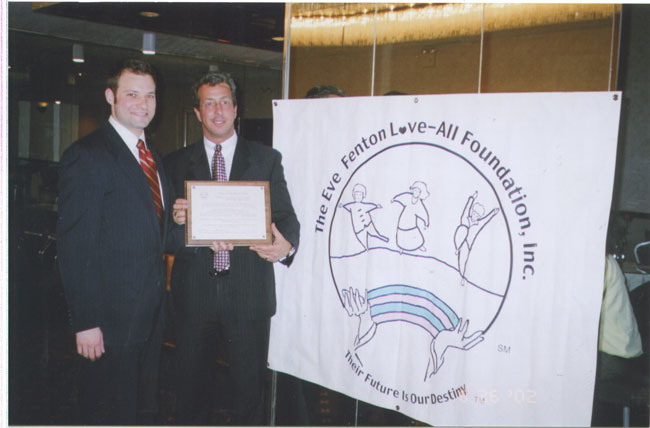 TM Her prophetic words are summed up by the knowledge that The Eve Fenton Love-All Foundation is the fastest growing charity in the USA. That is what's known as the Divine Gift.